Stephen Frears’ newest film was an enjoyable and rather educational look into the Lance Armstrong doping saga, and like his past films The Queen and Philomena, he managed to extract a phenomenal performance from his lead – in this case, the revelatory Ben Foster – but unlike those earlier films, The Program lacked heart and passion. Frears and writer, John Hodge, presented a clear narrative from the beginning to the final downfall of Armstrong. However, too much time was focused on the long middle act which illustrated the abuse of the performance enhancement drugs (which the audience already knew he did), and not enough time was spent examining the why in the beginning or the potentially emotionally wrecking fall from grace in the end. As a docu-drama of the faux legend there was not really any real drama involved in the retelling nor were there any documentary revelations about the saga. On paper this film sounded great, but unfortunately what we see on screen is nothing but. This was not a bad film per se, but just that it was ... uninteresting. A tepid and bland presentation of what could have been an exciting gangster(s) biopic. The only saving grace was the undeniably talented Tom Hardy who gave a performance that was fun, exciting, engaging but sadly undeserving of Brian Helgeland. For someone who wrote the excellent - oscar-winning - screenplay of LA Confidential, the narrative in this film was unfocused. Does it want to be a gangster film, a true-life biopic, a romantic drama or a family drama? Sadly, Helgeland chose to focus on the romantic aspect which was the weakest and also the least interesting storyline. 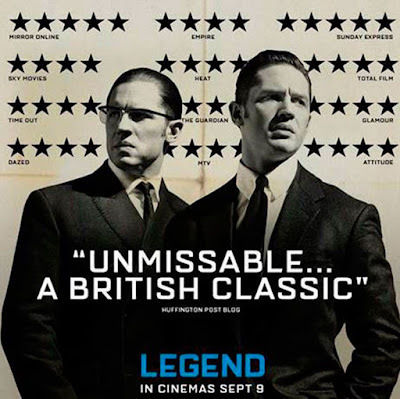 At the end of the film, after 131 long minutes - it would have been better served if they cut it by 20-30 minutes - we still do not really know the Kray brothers any better. Breaking up the final part of this trilogy was clearly a money-grabbing ploy because on its own, Part 2 lacked a definite structure which made the conclusion of this dystopic saga feel limp and betrayed the emotional investment of the audience. That being said, Suzanne Collin's third book itself was also not her best, as it tried to cramp as much of its political satirism-for-tweens, but at least the ending held weight and was less expected than in the movie - which was clumsily foreshadowed. The target demographic would surely be happy with the film. Its darker overtones were well handled but could have been dealt with more deeply to give it a richer complexity which I am sure star Jennifer Lawrence could have handled. 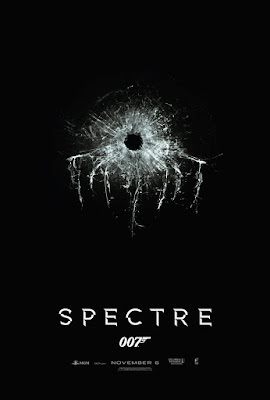 Spectre was an entertaining, action-packed and generally fun film that tried to tie up all of Daniel Craig’s past Bond films into a neat little bow. However, Sam Mendes and John Logan tried too hard to do both that and re-capture the magic of Skyfall, such that it succeeded in neither. Comparisons with Skyfallwill be expected, and just like Sam Smith’s Writing’s on the Wall is a paler shade to Adele’s Skyfall, Spectre too failed to excite and engage as much as its predecessor. And it is not just the plot, unfortunately even the cinematography (by Hoyte van Hoytema here), Thomas Newman’s score and Christoph Waltz’s villainy all failed to match the high standards set by Roger Deakins, Newman himself and Javier Bardem. Pilot: ABC's new show might be the best of this season's lot. In the vein of "How To Get Away With Murder", we are treated to a mystery in the future with clues in the flashbacks. Like "Murder", the cast are all fairly fresh-faced (and pretty) individuals with some old familiar faces to keep the viewers grounded. And although Priyanka Chopra is not as big a star as Viola Davis in the States, she is a big deal in Bollywood. Similarly, it also bears the question: how would it sustain itself beyond one season? Episode 2, America: Some new faces and a certain amount of character retcon were introduced. But at least it worked. Although the focus on Chopra's sexuality/sensuality is getting too overt. But the suspects are genuinely getting more interesting in both their personal lives and how they may figure into the larger mystery.